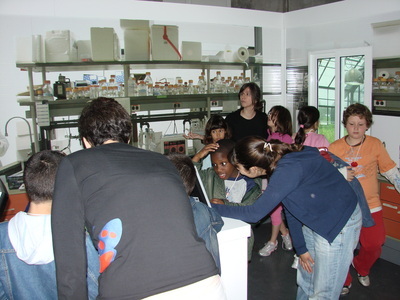 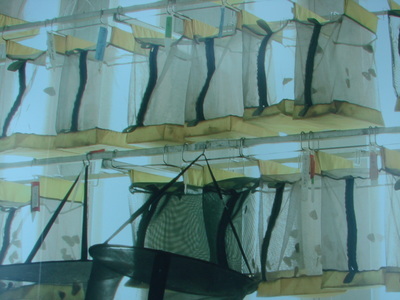 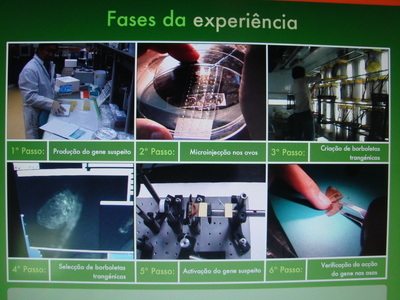 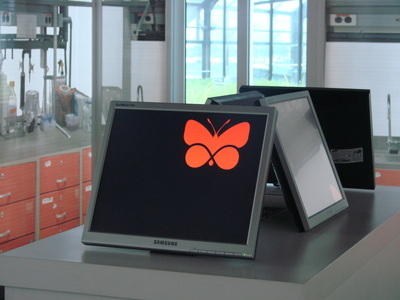 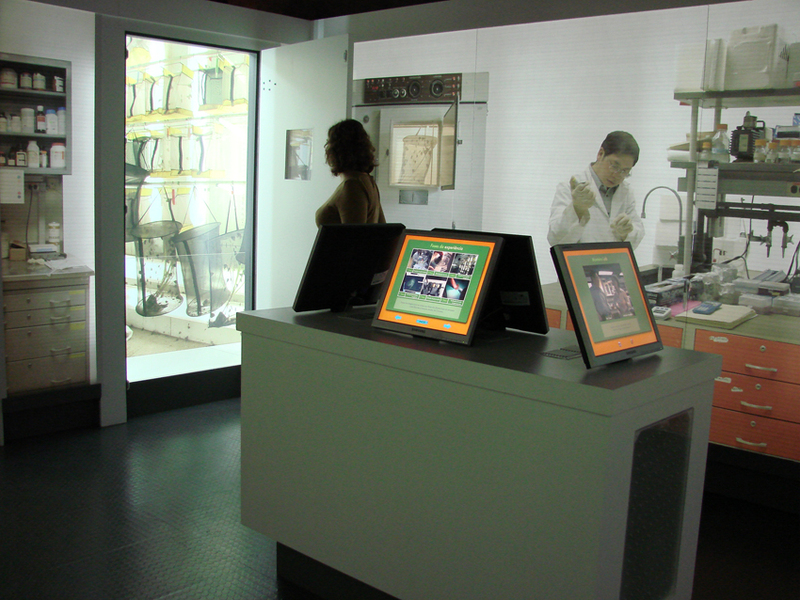 The last room represents a lab where reserach with molecular biology in butterflies takes place. 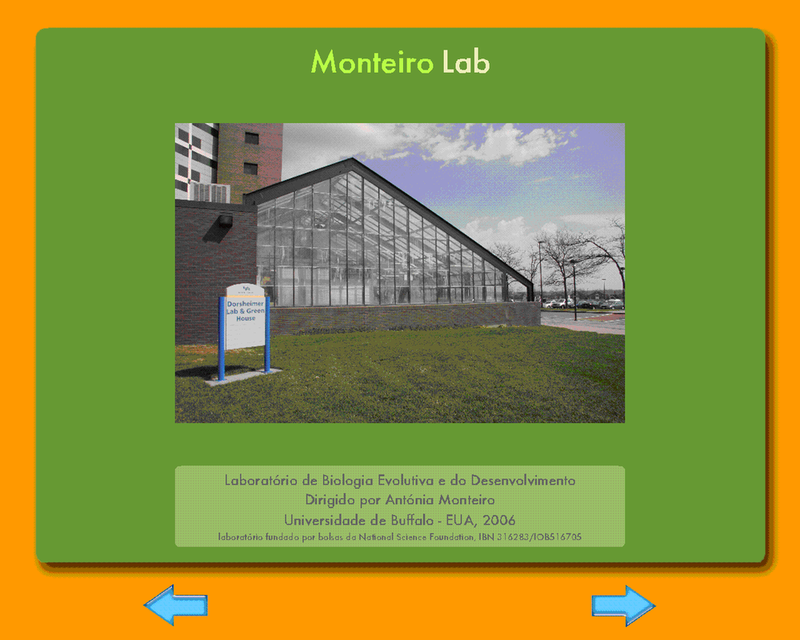 Once again we show a real example, reconstituting a laboratory run by Professor Antónia Monteiro from Buffallo University in the US. Her reaserch focuses on patterns in butterflies’ wings. 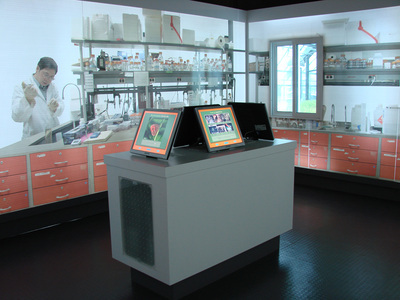 Here, the walls are covered with real size photos taken at the lab, to recreate its atmosphere, which contrasts very strongly with the 19th Century museum room. 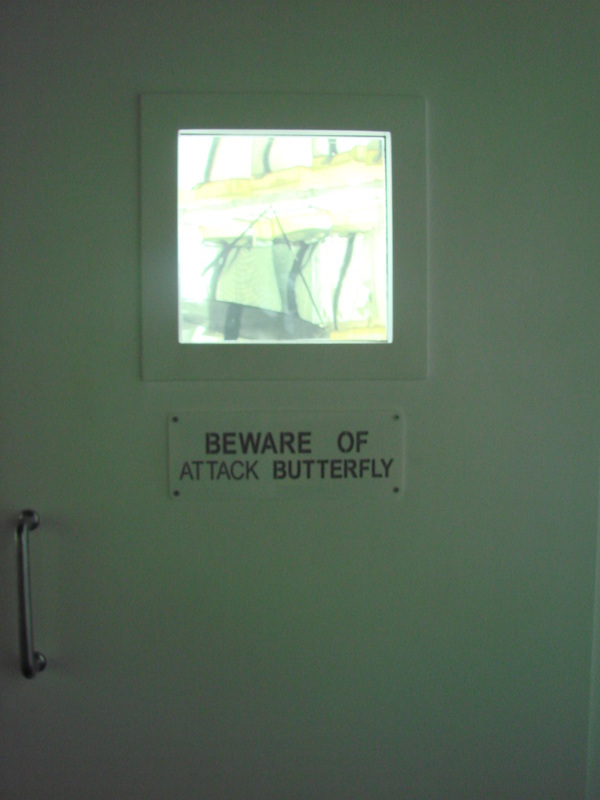 Visitors can open a door to a closet where butterflues are being reared. 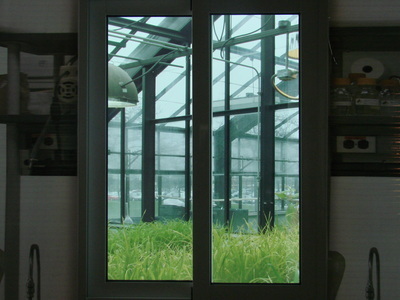 An “open window” also shows a greenhouse where corn is grown to feed the catterpillers. 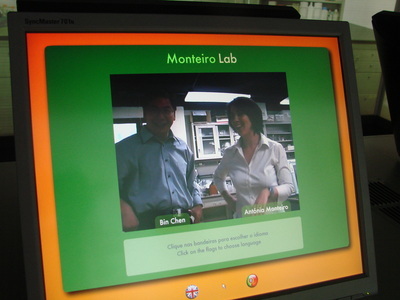 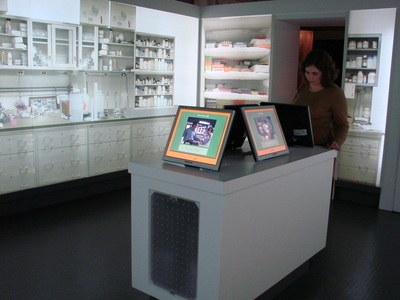 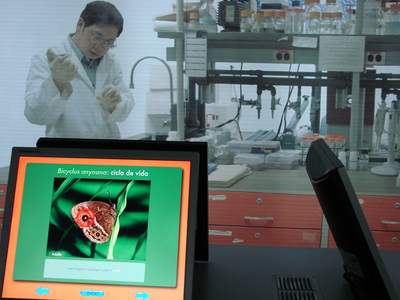 Touch-screen computers can be used to learn about the work done in this lab. 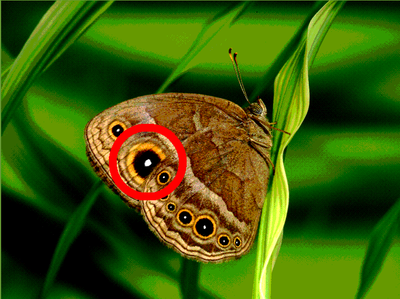 Antonia Monteiro produces transgenic butterflies with green eyes, to study genes responsible for eyespots in butterflies’ wings. 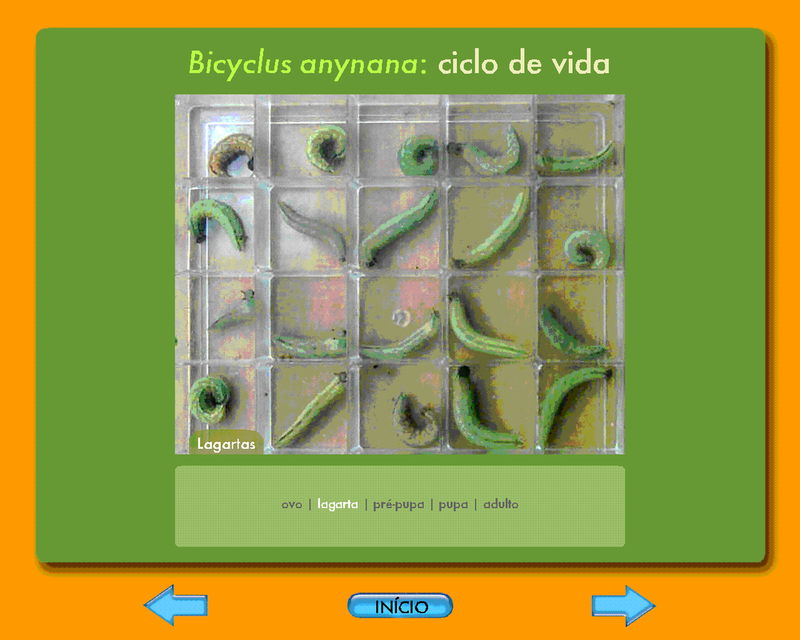 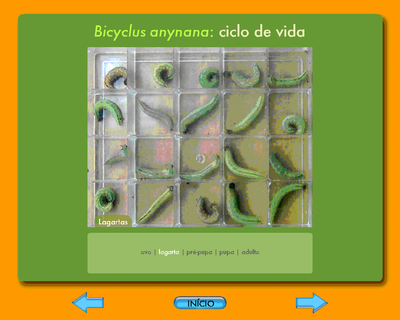 A video sequences explains the different stages to make these butterflies.